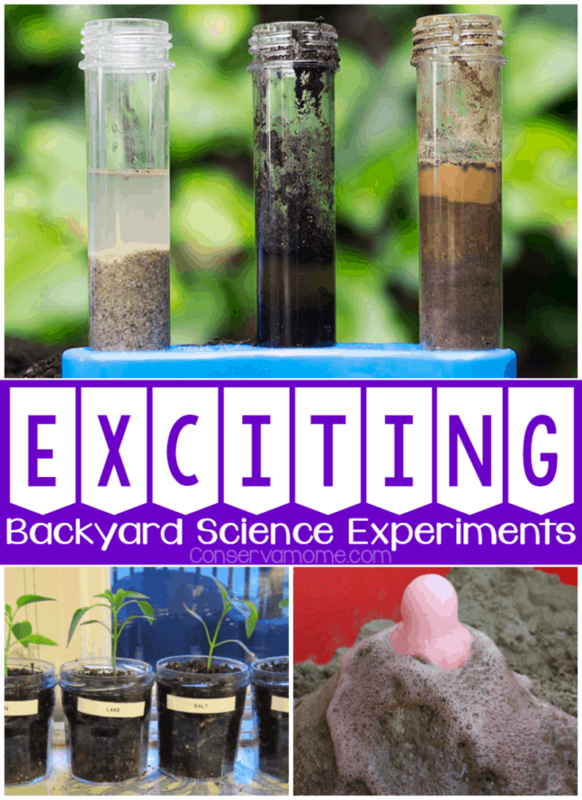 An Exciting Round up of Backyard Science Experiments that will help your children learn about the world around them including some great STEM activities. These fun outside science experiments will bring the classroom outdoors. Children learn best when they experience things hands on. With beautiful weather around the corner getting them out to explore and learn from the wonders around them is as easy as can be. Nature is the best teacher when it comes to helping kids truly understand concepts that might be harder to get using textbooks. So here’s a fun way to get your kids creativity and learning juices going with Exciting Backyard Science Experiments. Check these 20 Backyard Science Experiments that will take elements and items from around their back yard and home to help them them discover some great concepts. Best of all some of these fun experiments cover STEM Objectives bringing the educational objectives full circle. So head below and check out this fun round up! Looking for Science Experiments for your younger learners? Check out this fun Check out this round up of Magnificent Preschool Science Experiments. I look forward to trying some of these with my lg. Oh this is a great list! My little guy is so curious, we’re going to try a few of these out! Thank you! Perfect for summer. This is a fantastic list! I’m pinning it to have when LO is a little older, & sharing it with a niece who loves to do learning activities with her children! Why, oh why, is there no Pinterest icon? Seriously SO many fun ideas!!! Pinning so my son and I can do these all Summer! !